Image: Michael Brochstein/SOPA Images/LightRocket via Getty Images. This is clearly Chipotle’s year. Not only did the fast-casual restaurant recently update its menu to include Whole30-, paleo- and keto-friendly Lifestyle Bowls, but it experienced so much growth over the years that it just opened its 2,500th restaurant in Concord, California — and will open 140 to 155 new restaurant locations this year. Riding this wave of momentum, Chipotle also announced a couple of plans to make it even easier to pick up to-go orders. Currently, about 1,000 Chipotle restaurants have an in-store pickup shelf for those who placed their orders online or via its app. It’s so easy; you just walk in, pick up your order and walk right out. By the middle of this year, however, Chipotle plans to implement the shelves in all restaurants, according to its press release. 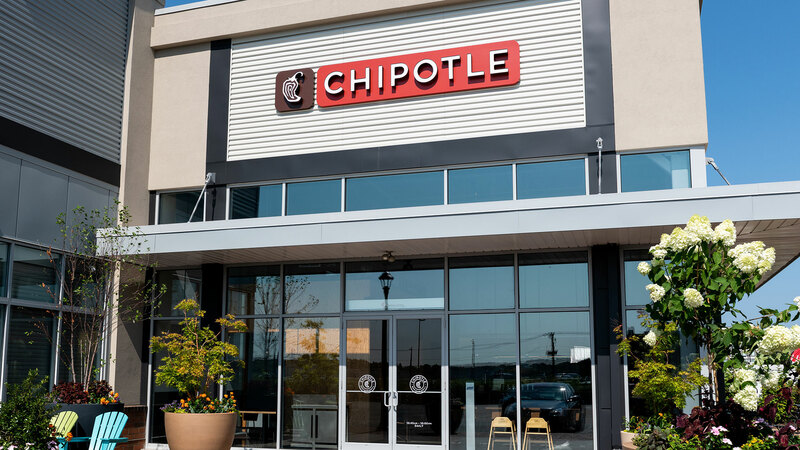 As of May 2018, five Chipotle locations in the U.S., including restaurants in Ohio, Tennessee, Texas and Massachusetts, added drive-thru windows, CNBC reported at the time. And let’s not forget the launch of Chipotle’s customer loyalty program, which should happen sometime this year. The four test markets include Phoenix, Arizona; Kansas City, Kansas; Kansas City, Missouri; and Columbus, Ohio. The gist is, once you’re a member of Chipotle Rewards, you’ll receive 10 points for every dollar spent or 15 points for every dollar spent if you order online or with the Chipotle app. Rack up enough points and get free food.